Pastors Mike believes that “No eye has seen, no ear has heard, and no mind can comprehend what God has for those who love Him (1 Corinthians 2:9),” and out of this conviction has sparked the emergence of the Equip and Inspire Network. Each year, the Network hosts the Arise Women’s Conference, Kingdom Man Conference, and the Equip and Inspire Conference, which empower people from across the Hawaiian Islands, US Mainland, and Internationally. Mike and Lisa reside in Honolulu and are the proud parents of three daughters and two grandchildren. Mike has traveled to speak at conferences and to congregations all over the world and conducts pastor’s and leader’s round tables nationally and internationally. Mike is the author of The Pound for Pound Principle and Plateaus. 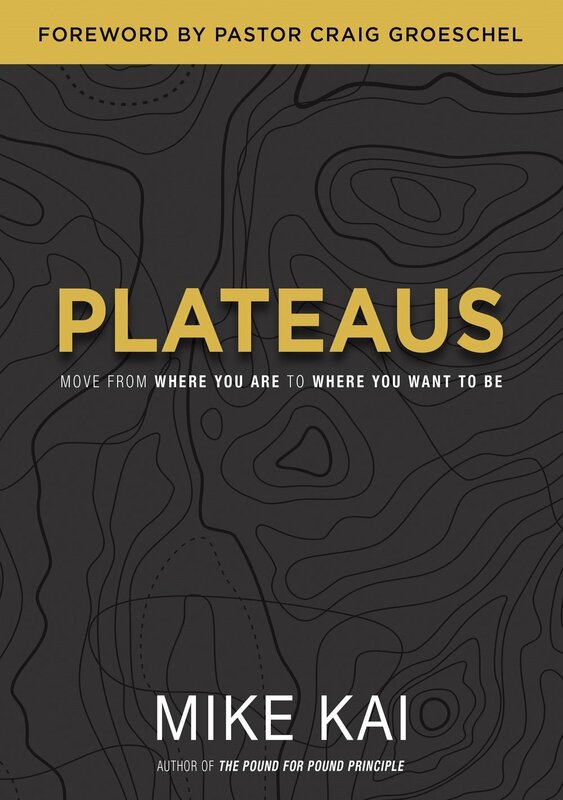 Hear the story behind Plateaus, and make sure to purchase your copy today! You’ve been called to the EXTRAORDINARY! How do you make the most of God’s gifts in your life? In this liberating and powerfulbook, you will learn to identify the talents you have, develop them to God’s full plan and purpose, and avoid the trap of the comparison game. Don’t you hate feeling as though you’re stuck? Plateaus is a read for anyone who’s ever encountered that experience. In everyday life, plateaus can be incredibly frustrating and discouraging, but they can also be powerfully motivating. In this book, Pastor Mike Kai shares powerful insights and strategies that will enable you to break through to the next level in your life. This book will show you how to navigate the plateaus and reach your next mountain peak.